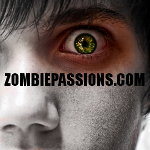 Zombie Passions: silverei5 - Free Zombie Dating - Zombie (Mutated Virus);Zombie Film FANatic;BRAINS!!! SILVEREI5 has no current links. who doesn't love brains in the morning? who doesn't love brains in the morning? Zombie movies are some of my favortie horror movies. They are also fun to go to dressed as a zombie. I've done it and was highly amused by chasing people around the theatre. Of course, I've been told by my boss that sometimes it's just how I look in the morning. Oh well, at least I get to be cranky all day and try to beat up the boys.